Richard J. Fox, MD, FACS is a Board-Certified General Surgeon in private practice in Boulder, Colorado since 2002. 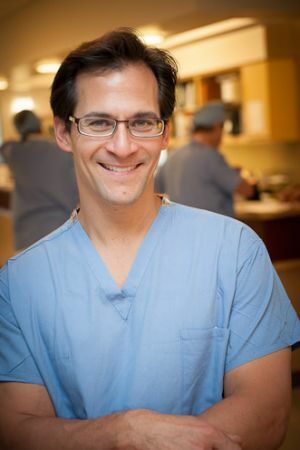 He started Alpine Surgical in 2007, and provides general surgical care including all types of gastrointestinal surgery (both benign and malignant), hernia repairs, endocrine surgery, as well as breast disease surgery. He also has a special interest in thoracic and vascular procedures, including state-of-the-art treatment for varicose veins. Dr. Fox favors advanced minimally invasive approaches to all his surgeries when possible. He has been recognized by the Patients’ Choice Award, America’s Most Compassionate Doctors and US News and World Report Top Doctor. Dr. Fox received his board certification from the American Board of Surgery in 2002, and is a Fellow of the American College of Surgeons. Dr. Fox is also a member of the American Society of Breast Surgeons, American Hernia Society, Colorado Medical Society and Boulder County Medical Society. He previously served as Trauma Director for Boulder Community Hospital. When not practicing medicine, Dr. Fox enjoys spending time with his family traveling outdoors, hiking, cooking and making a good cup of espresso. Dr. Fox encourages his patients to continue having an active, healthy lifestlye post surgery.